Thinking About Trying Nordic Skiing? Read This! Cross-country skiing is often viewed as alpine skiing boring, less adventurous cousin. This, however, could not be further from the truth; with high speeds, cold temperatures, and stunning scenery, this high-intensity endurance workout is an exciting sport in and of itself. 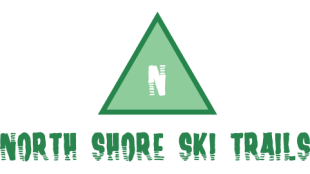 Though we won’t make the argument that Nordic skiing is inherently better than alpine skiing (apples and oranges), we have curated a list of our favorite reasons to make the switch. No. Lines. Ever. Okay, you might have to wait in line to rent skis, but Nordic skiers enjoy the convenience of coming and going as they please. Downhill skiers spend half of their day in line and on lifts—this will never happen during a day of cross-country skiing. It’s an incredible workout. Alpine skiing, admittedly, is an excellent full-body work-out. However, cross-country skiing is a lot more tiring than its faster counterpart. This is one of the best cardiovascular exercises out there, and—here’s the best part—it’s low-impact. You won’t deal with terrible ski boots. Most skiers can agree that boots are the a universally-despised piece of equipment. Cross-country ski boots, on the other hand, are only ankle-high, soft, and flexible–just like a normal shoe. It’s cheap(er). 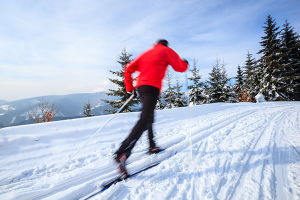 Though equipment prices are still relatively high, cross-country skiing does not require the purchase of a lift ticket. Additionally, equipment rentals are surprisingly affordable, making this an excellent option for a budget-friendly winter adventure.